First of all, it is very good to see you here! And let me just say sorry for the 'down time' on the old SnowJapanForums site over the last few weeks. Behind the scenes it has been a frantic few weeks as we made some major changes to the community software as well as a big move. Lots of coding, setting up, consulting, testing, adjusting, checking, worrying, sighing... and cheering! If you are reading this you have obviously found your way to this new location and you might notice that it is now within our main website. OK, so what exactly do we have planned? 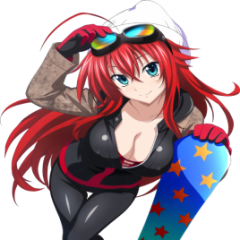 Well, we have some things already going, something we are working on (login to main SnowJapan member area) and we also have a few other ideas that we want to consider as we move forward. If you were a member of the old 'SnowJapanForums', you should be able to login here using the same username and password as before. You can also now log in (and register) to the community using an existing Facebook, Google, Twitter, Microsoft or LinkedIn username and password. Logging in is now super easy - the old system was indeed a little clunky, but this new system is as simple as it can get. Eventually you will hopefully be able to post Resort Reviews on our main site using the same login details - we're working on getting that working right now. More on that below. If you want to register an account just to this Community (ie. not by using the above), you can do that too, and that is also easy. Just click on the 'Sign Up' button at the top right of this page. So, we thought that it might be a good idea to have an area where people can ask questions and other people can provide some answers and feedback. And so, this new Q&A area. All questions and all answers are fully moderated, which means that myself or one of my colleagues will need to 'approve' them before they appear online. This is to avoid us getting sucked back into the world of spam, trolls, advertisers (cunning or otherwise) and the like. We do not intend to get into any kind of discussions about any moderation decisions - so if a post does not appear, that's the end of it. (Sorry for sounding blunt with that, but I just wanted to be as clear as possible on that particular point). The idea is for members to chip in and provide answers, not for SnowJapan to become a question answering service. (Though we may of course at times provide some answers ourselves if and when we can). Also, we do not intend for this to be an open ended discussion-type forum. Rather, the idea is to keep it as a simple 'Q&A corner' kind of thing. Of course, we may well adjust our thinking on all of this as we move forward. You're looking at it now! Initially, this is our own 'SnowJapan blog'. We don't exactly how it will evolve - we shall see. We need to make further coding changes to our systems in order to enable login on the main SnowJapan site member area. Once that work is done, hopefully you will be able to login to the main site and post Resort Reviews using the same username/password. Please bear with us while we do that work. We'll update you on that as soon as possible. Those of you who know us will be aware of our love of adding stuff every year and moving forward. We're on a bit of a roll at the moment with some other pretty major work being done which is due to appear later in the year. As I mentioned in the news announcement, we do not know exactly how this new 'SnowJapan Community' will all develop over the coming weeks, months and years. We may change things up. We may add new things. But whatever happens, we have the new login thing as well as a fresh and shiny new platform that we intend to use and build on. And that's kind of exciting.